On average, over 700 fatalities occur in work zones each year determined by the Federal Motor Carrier Safety Administration (FMCSA). 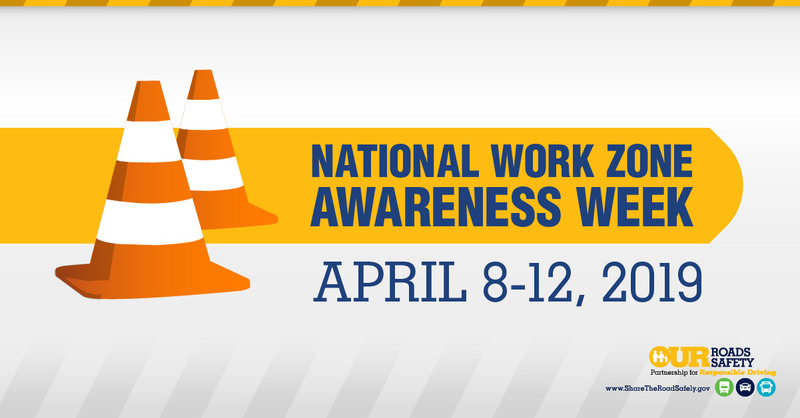 In an effort to protect our drivers and workers, the FMCSA created National Work Zone Awareness Week (NWZAW). Research your route and when possible use alternative routes to avoid work zones. Pay attention and be aware of signs notifying that you are entering a work zone. Speed and lane changes are common in work zones. Avoid distractions such as cell phones, eating, drinking, adjusting the radio, GPS, or taking your eyes off the road. Slow down, road changes are common when entering a work zone. Be wary of the workers on the road, speed changes, and lane closure requiring drivers to shift lanes. Move into the open lane as soon as possible when approaching lane closures. Give yourself and the drivers around you plenty of space and time to adjust for lane closures. Keep your distance, rear-end crashes are extremely common in work zones. Large trucks and busses have limited maneuverability and large blind spots. 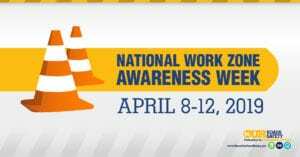 All roads users can stay safe by being aware of each other and proceeding with caution when entering work zones. At Gorilla Safety, we want to keep our roadways and drivers safe. We’ve automated a lot of the most important functions of keeping a fleet compliant on the road so you don’t have to worry about it. We help fleets reduce maintenance violations as well as other wasteful costs that used to feel inevitable. Our system is intuitive and makes managing the entire fleet and individual vehicles much easier. Contact us today to learn how we can help you manage your fleet. Esta entrada fue publicada en Seguridad de la flota, Safety, La vida de camionero y etiquetado FMCSA, National Work Zone Awareness Week, Safety, Safety Tips. Guarda el permalink.